 Small Steps to Improve Practice Efficiency - ONRAD, Inc. Diagnostic Imaging | Efficiency comes in many forms and touches all aspects of your practice. Poor efficiency does not just mean you make less money. It leads to frustration and job dissatisfaction. It may be distracting. As all radiologists know, distraction is one of the most dangerous obstructions to delivering good care, good reports, and good procedures. It can also make you look bad to referring MDs who expect fast, superior service. Efficiency can be eroded in subtle ways — that’s the bad news. The good news is that if it can be easily eroded, it can be easily improved. This morning I was contacted by a transcriptionist who informed me that they needed me to spell and list all names and numbers on each patient carefully and slowly because they were a now a diffuse transcription group, with an off-site transcriptionist. In the past, our admin staff had provided the transcription service with a list of patient names so that we could eliminate demographic errors. This also allowed us to speed our dictations and focus on report content. Now that there was not a centralized dictation location, they wanted to go back to the old system. On the surface this might be pretty innocuous. But it is backsliding in several ways. Even a minor erosion in your efficiency for each patient can add up in a time when we are asked to dictate 150 or 200 reports a day. It adds to voice fatigue and overall fatigue. There are several questions and lessons in this. The issue requires both an in-the-moment efficiency issue and one that is strategic and longer term. Do I address this at the point of the call and have a pitched argument with a transcription manager? No. We know we have a solution, but don’t waste your time today doing this. Everyone will need to be on board, so it needs a broader solution…give it to your office administration to handle. They can address the specific issue in various ways. But the key is don’t have the radiologist who is a reader spend lots of time on this. These are the kinds of day to day situations that can bog you down. How many times have referring MDs brought you outside CDs to load and view and you both sat and watched the loading bar fill up? In the age of filmless radiology, that is increasingly common. It is one of the moments you get to interact directly with your referring MDs and you want to make it work well. This is a situation emblematic of many we deal with. You want to give good service and be available. You don’t want to waste the referring MDs time. But you also don’t want to be inefficient. It’s a good opportunity for a process to solve this. You can decide as a practice whether you want to enlist your hospital or facilities resources, but from a time versus cost perspective it likely makes sense to have your own staff help. Educate your referring physicians to give you a quick heads up if they want to view an outside CD they have. Create a system where the disc is brought to you (or better yet, an independent computer) by your staff (or your facilities’ staff) and pre-loaded. Then contact the MD to let them know it is ready. They’ll be happier and you’ll be more inefficient. Almost everyone respects your having an efficient process for handling this. If there are individual referring MDs who don’t like it, know that, and work with them. As radiologists we are not all used to using administrative infrastructure and process to improve our practice. Infrastructure helps us to maintain relationships and improve efficiency and needs to be tailored for the use of varying practices by radiologist, varying needs of referring MDs and patients. For some the word efficiency is anathema. Being efficient should improve your practice overall and the personal practice of your individual radiologist.